So why did I think there was going to be more in the print edition than in the online edition? 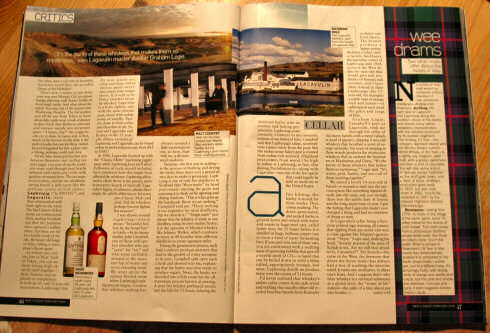 Well, look at the photo I took of the spread, then look at this page about half way down, may be also this this view of Islay. Did you spot it? Yes, that's one of my pictures published in Men's Vogue. I don't know how many readers it has, but I assume several 10,000 at least. So I hope that they will have all read the article and that my picture has helped to spread the fame of Islay and Islay's whiskies in the US (and whereever else it is available).